Ive got no cooling issues just a little then i like seepage in my water pump outlet/cover thingy. At first it was very minor almost to a point where i was thinking it could be my T-stat. But then a few months past and now for sure the water pump because the area above it is dry. So i've been monitoring my coolant levels and well, it barely made it under the "min" line. My main concern is this, what is happening at this point? I assume one of the o-rings have gone bad. Since i dont overheat the pump is still good. Since i can see it on the timing cover its the other seal i would assume. So is coolant and oil mixing? The timing chain should always be covered in oil i assuming. So is the coolant seal letting a little coolant out and then mixing ? How bad is this for the time being? I have 2 months til i'm out of school otherwise i need the car daily. I've seen the job and it looks to be a better part of a day ( book time was 2-3 hours) but taking your time and not letting the chain jump will mean going a lot slower. Pump and seals seems to be $150 and a OEM coolant is $35/gallon. Should i get a new tensioner as well? Just curious. How many miles do you have? It could worsen. I've seen this happen when water pumps will seep and seep and then one day just really fail. I can't see it, but more than likely it's an external leak, but as it heats and cools and degrades, it will get worse. I'm nearing 90k. Minor things are starting to go on this car. Valve cover gaskets and now water pump showing signs. I have a couple minor interior issues as well but these two are only mechanical. 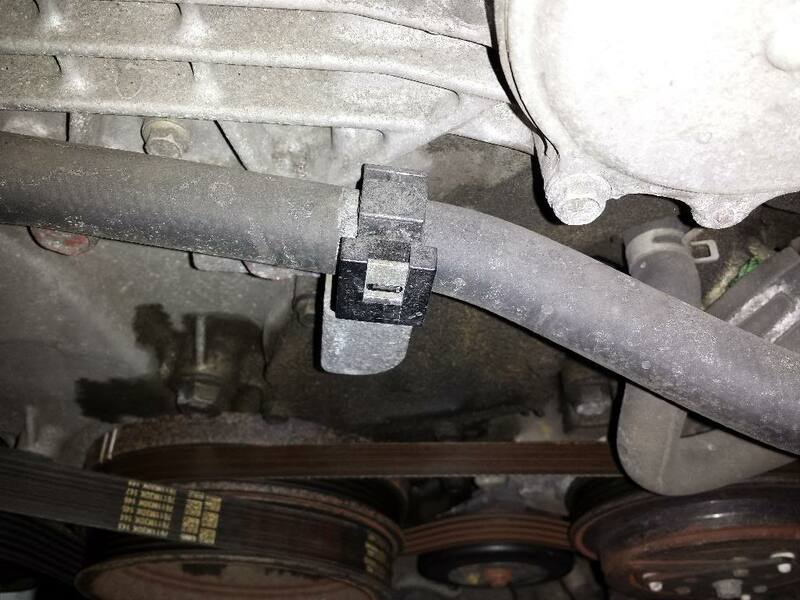 From my googling.... its very very rare for an OEM nissan water pump to go out. But very common for those O-rings to leak. I want to do this myself in the summer time once school is out but i might opt to get this job done to prevent further damage. Anyone here done the job? Looks fairly roomy once the cooling fans are removed. Check your oil for foam. I have an issue with coolant leaking into the engine and clouding the oil. do not use the over flow tank as a gauge of how much coolant is in the system. Wait till it's cool and pull the rad cap. Just recently replaced my timing chain tensioners and primary guide due to a faulty water pump. I ended up skipping a tooth on accident and had to take the entire thing apart, so I have some experience with this, lol. 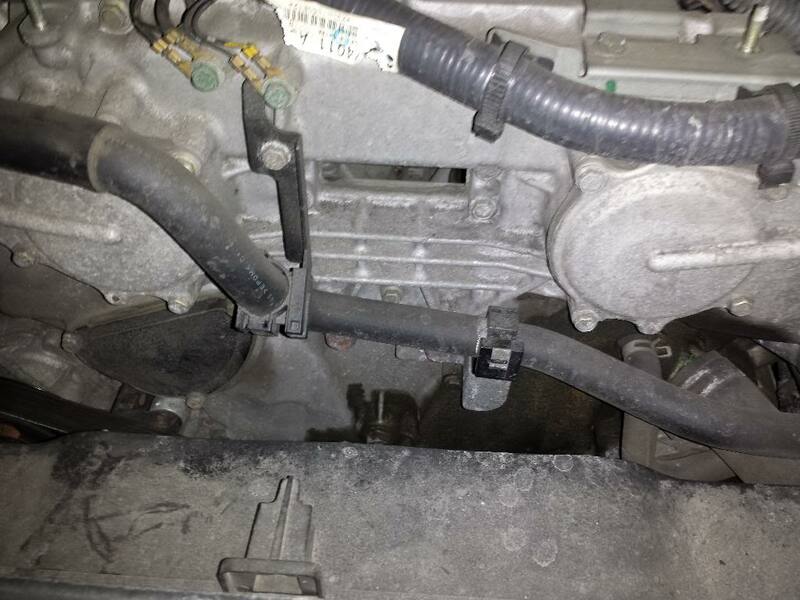 There is a weep hole under the car on the driver side above the lower oil pan. Check there to see if it's covered in coolant. There are two o-rings on the water pump that separate the oil and coolant. The oil will look like chocolate milk if the two are mixing, but you might be able to tell if you open the cap. I would just do an oil change now and see what the oil looks like. My pump did go out around 120K and the bearings went bad. My car would sound like a banshee when running. If it's not making any noises you can probably get away with just the O-Rings, but I would put a new one in anyway just so you don't have to do it again. If the tensioner plunger is not all the way extended then you don't need to replace it. I ended up doing the primary chain and guide rails though, since I had everything apart. Those access panels are only held on by RTV as well, so the RTV could just be failing. I have a DIY I wrote up when I had to do this job if you search my name. I skipped a tooth very easily when I did this, so I would go into this job preparing for the worst to happen, lol. I just did the oil change like 2 weeks ago. Nothing wrong with the oil. Not even low from the leaking valve cover gasket. I'll check under the cap later to see whats the deal. The obvious leak is coming from the water pump cover that is a FACT. I'll snap a picture later if it shows up in the photo. Thats a good point on the RTV. Maybe i'll just pop the cover off if i have some time. Weather in chicago is pickin up but we still are averaging 40 degrees in the day time with the sun out. Looking at this car, the average owner will not notice anything wrong. Its just be staring down at things and looking for issues. Correction on the miles i'm at 84k. Problem free aside from crank sensor and both front wheel bearings. tough to get pictures due to hoses and angle. Here are some. It looks like the thermostat gasket is one issue for sure. I guess i didn't get a great look but the water pump still is questionable. The picture shows both tension cover ( completely dry but dirty) but the water pump is wet. Shot of the thermostat, i'll be getting a new one and gasket. $30 total for both is not bad. The seepage goes all the way down. Don't mind the rusty look. Those belts are only 5 months old but they have gone thru one midwest winter. I'm going to replace the Thermostat and try to clean off all the stuff and see if it comes back. WHat do you guys think? Just the T-stat or a combo of both water pump and T-STAT. I'd spray that area off first with some scrubbing bubbles and water to clean it up first. Then check to see if you can the leaks better, but that thermostat gasket is metal and can normally be re-used. 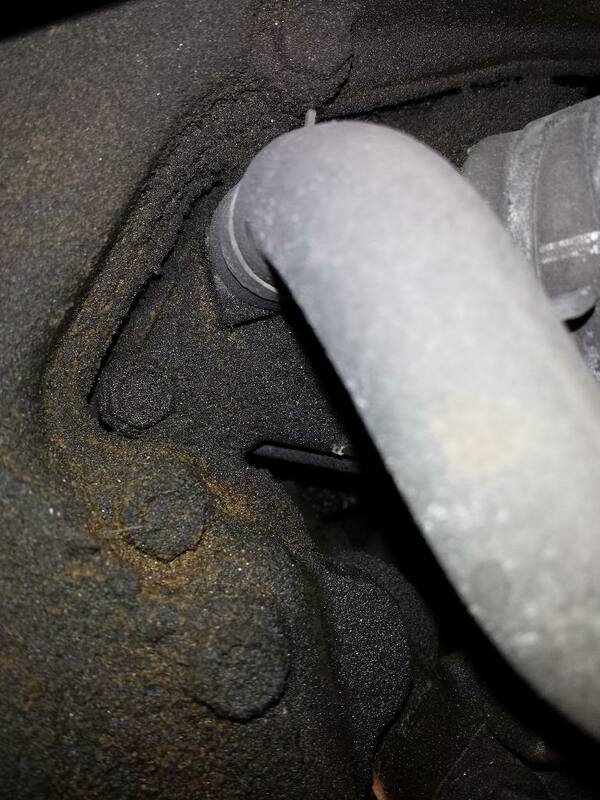 Check your hoses on that housing as well to see if there are any leaks, I noticed some corrosion on yours. Calling all sedans-What's your fender height?